Which indicators could benefit from the incorporation of citizen science—10 years from now, five years from now, and today? What existing citizen science projects can be leveraged? Are there opportunities for new uses of citizen science? 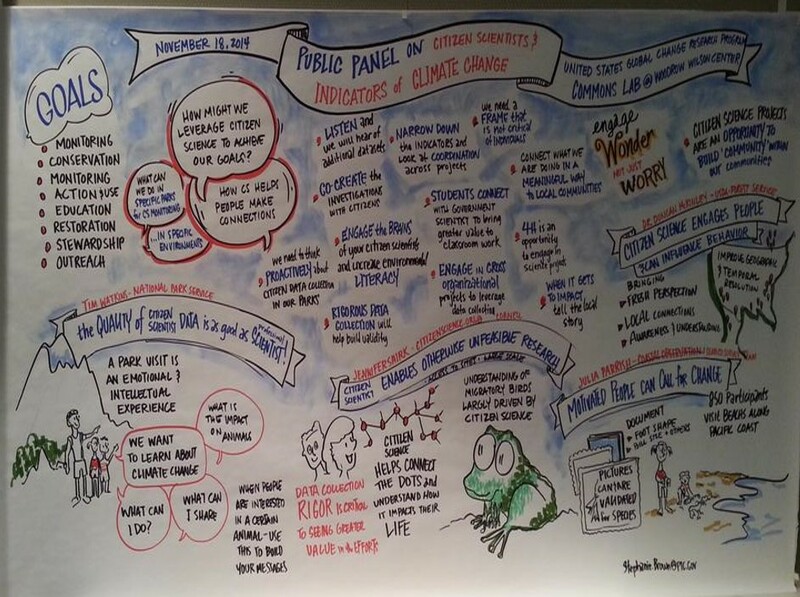 How can citizen science and indicators be used together to help a range of audiences better understand climate change? At the roundtable (webcast available here), representatives from USGCRP agencies delivered keynote speeches highlighting the ways in which their agencies and USGCRP as a whole engage in citizen science efforts. Leaders in the field from agencies and from outside the government contributed to a lively panel discussion, addressing questions about public participation in science from the international scale to the K­–12 level. The results of the workshop will be reported at the upcoming Citizen Science Association Conference and in a workshop report to be released in 2015. This is a cross-post, with minor changes, from the USGCRP newsletter.